Northwestern Medicine offers care for all of your child's needs from infancy to young adulthood. Northwestern Medicine Pediatric specialists are committed to providing compassionate, skilled care that is focused on getting your child well. Our board-certified pediatricians and nurse practitioners offer personalized care throughout your child's growing years, whether that includes routine care or the attention of a specialist. Northwestern Medicine pediatric specialists, working with their partners at the Ann & Robert H. Lurie Children's Hospital of Chicago2, stress health education and work to address your concerns as a parent to provide exceptional pediatric health and wellness care. Our goal is to deliver the care and treatment your child needs to get back to good health. When it comes to diagnosing and treating your infant, child or adolescent’s medical condition, Northwestern Medicine offers the kind of care every parent hopes for. As part of our pediatric family support services, we offer tips regarding camps for special needs children coping with serious illnesses. Take advantage of a range of child life and family support services for families facing pediatric hospitalization or a serious pediatric diagnosis. Northwestern Medical Group (NMG) Pediatrics offers a full spectrum of primary and preventive care services for infants, children and young adults. Our board-certified pediatricians and nurse practitioners provide personalized care throughout your child's growing years, whether that includes routine care or the attention of a specialist. Northwestern Medicine offers specialized care for diagnosing and treating children with allergies or immunodeficiency disorders. Northwestern Medicine offers a unique program with pediatric specialists trained to treat developmental and behavioral issues or problems. The pediatric hematologists/oncologists in the pediatric program diagnose and treat children with blood diseases and cancer. Specialized care for diagnosing and treating children with heart conditions. Northwestern Medicine offers specialized care for diagnosing and treating children with common and rare skin conditions. 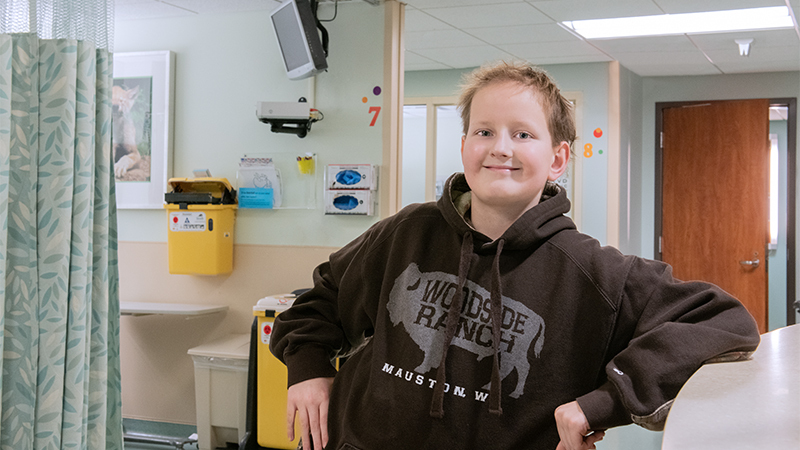 Northwestern Medicine offers comprehensive, compassionate pediatric emergency care. Our specialists offer expertise in the diagnosis, treatment and management of childhood and adolescent hormonal imbalances and endocrine diseases. Take advantage of a range of pediatric support services for families facing pediatric hospitalization or a serious pediatric diagnosis. Gastroenterology specialists evaluate and treat common and complex disorders affecting digestion and nutrition in infants and children. Our specialists offer pediatric hospital care with continual monitoring by pediatric hospitalists in a location close to home. Northwestern Medicine pediatric physicians can help you understand general newborn care, know what's normal for a newborn and when to call a pediatrician. Ann & Robert H. Lurie Children's Hospital of Chicago at Northwestern Medicine Central DuPage Hospital and Northwestern Medicine Delnor Hospital offers a unique nephrology program for children and adolescents. Northwestern Medicine provides comprehensive care for childhood nervous system disorders. Northwestern Medicine provides coordinated care for pediatric brain tumor patients receiving proton therapy. Our NICUs offer care and advanced technologies specifically for premature infants and critically ill newborns. Help your child live a fuller, happier life with specialized pediatric psychiatry services for children and adolescents. Northwestern Medicine pediatric psychology specialists are trained to treat developmental and behavioral problems. Northwestern Medicine offers specialized care for childhood breathing and lung-related conditions. Northwestern Medicine offers coordinated, comprehensive pediatric radiology care. Northwestern Medicine offers coordinated pediatric rheumatology care. The Special Care Nursery at Northwestern Medicine Delnor Hospital is designated as a Level II-e Special Care Nursery with Extended Capabilities from the State of Illinois offering 24-hour care and technologies. Northwestern Medicine offers sports medicine services for active children and teens as well as young athletes. Northwestern Medicine offers comprehensive, compassionate care for pediatric surgical services. Northwestern Medicine offers specialized medical and surgical care for problems related to the urinary tract and genitalia. Northwestern Medicine offers weight management programs to help children and teens live a healthier life. The Pediatric Intensive Care Unit (PICU) offers care and advanced technologies designed for critically ill children and teens. Every breakthrough leads to you. Northwestern Medicine Regional Medical Group (RMG) board-certified pediatricians offer primary care for infants, children and adolescents through age 21. Pediatric physicians manage the physical, behavioral and mental health of our youngest patients and ensure your child stays healthy and reaches key developmental milestones. In addition, the Central DuPage Hospital Pediatric Emergency Department is IDPH Emergency Department Approved for Pediatrics (EDAP) and is designated by the State of Illinois as a Level II Trauma Center. Central DuPage Hospital has also been named the first non-children’s hospital, and only the 9th hospital in the world, to be certified by ChildKind International, recognizing the hospital for demonstrating institution-wide excellence in their assessment, prevention and treatment of children’s pain. Northwestern Medical Group pediatricians are on the medical staffs at Northwestern Memorial Hospital and Ann & Robert H. Lurie Children's Hospital of Chicago1, as well as members of the teaching faculty at Northwestern University Feinberg School of Medicine. View all Northwestern Medical Group locations. We’ve also partnered with Ann & Robert H. Lurie Children's Hospital of Chicago1, one of the nation’s top-ranked children’s hospitals, to provide the highest quality care for children. Our hospitalists from Lurie Children’s are available on-site at Northwestern Medicine Lake Forest, 24 hours a day, every day of the year to care for special need situations or provide consultations. At the heart of family-centered care is the belief that healthcare providers and the family are partners, working together to best meet the needs of the child. We do not want any child in our community to lack access to the medical care they need or get the best start they can in life. Pediatric cardiologists do outpatient visits at Kishwaukee Hospital in DeKalb on the first and third Wednesday of every month. These physicians provide diagnosis and consultation for pediatric cardiac conditions such as congenital heart disease. A pediatric neurologist sees children, birth through 18 years, the first Tuesday of the month at Kishwaukee Hospital in DeKalb for epilepsy and other neurological issues. Lack of insurance is not a barrier. Tests done at the hospital include EEG, MRI, and lab work. Northwestern Medicine Kishwaukee Hospital’s emergency room staff and facilities in DeKalb and Sandwich have met special training and equipment requirements by the Illinois Department of Public Health and have been designated as an Emergency Department approved for Pediatrics (EDAP). Our nurses and staff are specially trained to adapt interactions and care to each child’s developmental level. They acknowledge the expertise of the family and collaborate with them to provide comprehensive, personalized care for the child. In addition, the Northwestern Medicine Kishwaukee Hospital Child Development Clinic diagnoses and treats Attention Deficit/Hyperactivity Disorder (AD/HD), Oppositional Defiant Disorder (ODD) and autism spectrum conditions. School Nurse Referral Slip: Download and print a parental notification slip to fill out when a child has to visit a school nurse. Vaccine Clinic Flier: Learn how and where to schedule a vaccination appointment. Kids Handwashing Manual: View a presentation kit designed to help teach children the importance of handwashing. Handwashing Informational Kit: Information and games for educating children on the importance of handwashing. Bicycle Safety Checklist: Learn important safety checkpoints to help make your ride a safe one. Bicycle Safety Presentation Manual: For assistance in giving presentations on bicycle safety. Bicycle Safety Information for Parents: Information to help keep your child safe while riding a bike. Bicycle Safety Coloring Book: A fun way for children to learn important safety tips. Child Passenger Safety Car Seat Belts: Information on using car seats and seat belts properly. Brain and Spinal Injury Prevention for Grades 1-3: Read information on ThinkFirst, a classroom program to teach children the importance of safety. Child Life Department Wish List: Learn more about the donations that can be made to help brighten a child's stay at the hospital. 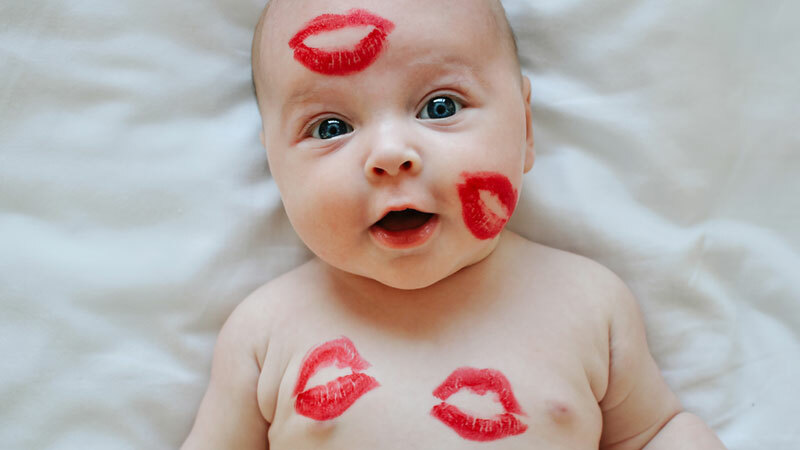 Learn what the latest medical advice is regarding newborn care so that you can support new parents and help keep baby healthy. How a collaborative team and the power of faith gave Trevor and his family strength they needed to fight pediatric brain cancer. 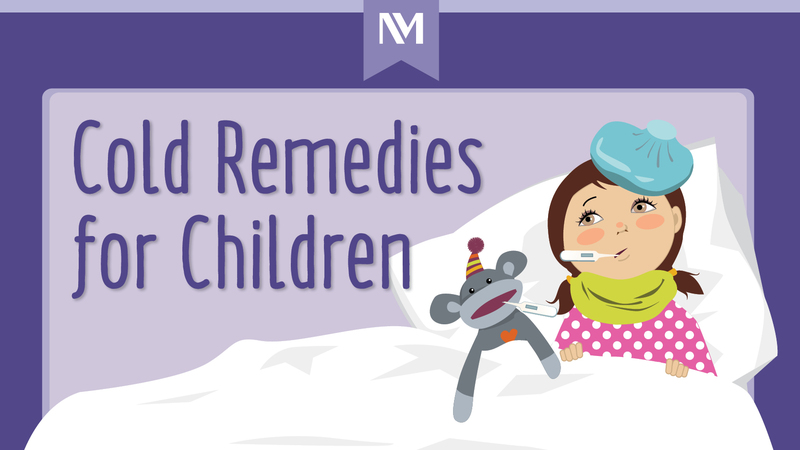 A Northwestern Medicine pediatrician shares her guide for helping soothe symptoms when your child is sick.